Basic Information: HCL is stands for “Hindustan Copper Limited”. HCL Recruitment department is looking to recruit fresher candidates who have passed in their respective ITI Trade. 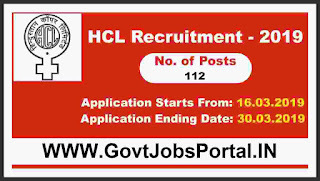 There are total 112 vacancies for Trade Apprentice posts which are going to be filled up after the completion of this HCL Recruitment 2019. More information related to these ITI Jobs in India is given below in this job posting below. 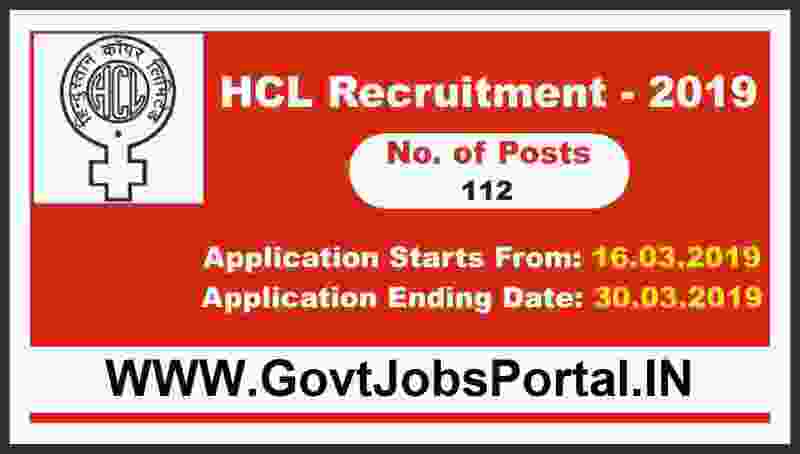 Read the complete article carefully before applying offline for this HCL Recruitment for Apprentices posts. Computer and Peripheral Hardware Repair and Maintenance Mechanic. Those who have passed in their high school(10th class) and completed ITI in respective Trade can apply for these ITI Jobs. ZERO Application fee is required for applying this HCL Recruitment process. 30th March 2019 is the Last Date to Apply. The application should be reach on or before 30th March 2019. Selection Procedure: Selection of the applicants will be based on Merit list made by the department after receiving the documents.